Solve It! You and a friend enjoy exercising together. One day, you are about to go running when your friend receives a phone call. You decide to start running and tell your friend to catch up after the call. 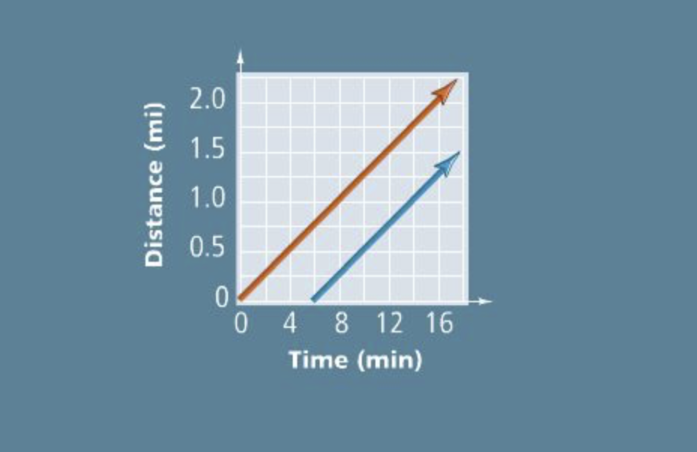 The red line represents you and the blue line represents your friend. Will your friend catch up? Problem 3 Got It? 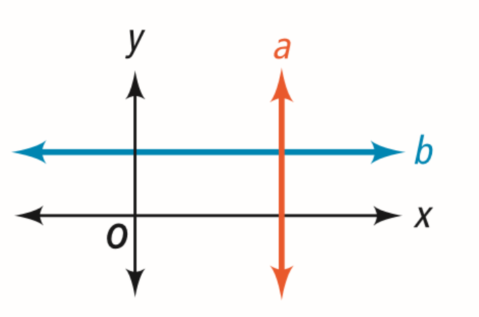 If a given line has a slope of 1/2, what is the slope of a perpendicular line? Problem 5 Got It? 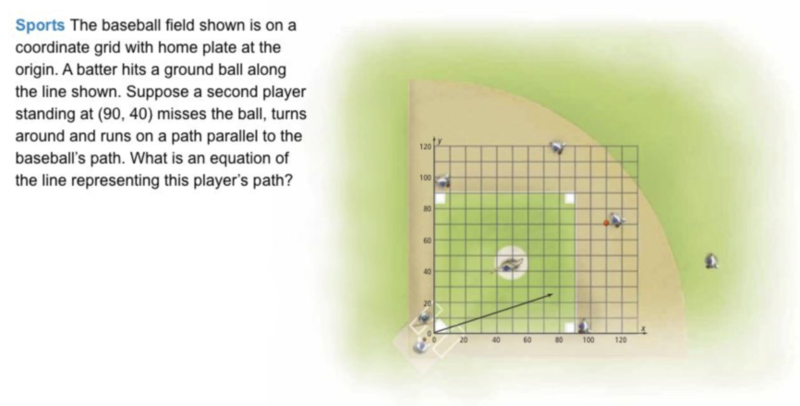 What is an equation of the line representing the player's path? For each set of points below, line AB contains points A and B. 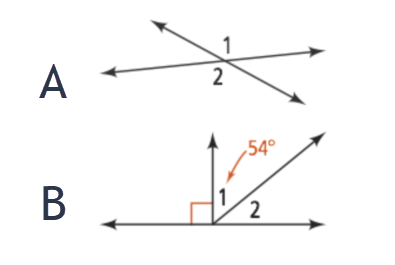 Line CD contains points C and D. Are Line AB and line CD parallel, perpendicular, or neither? Lines AB and CD are __________. 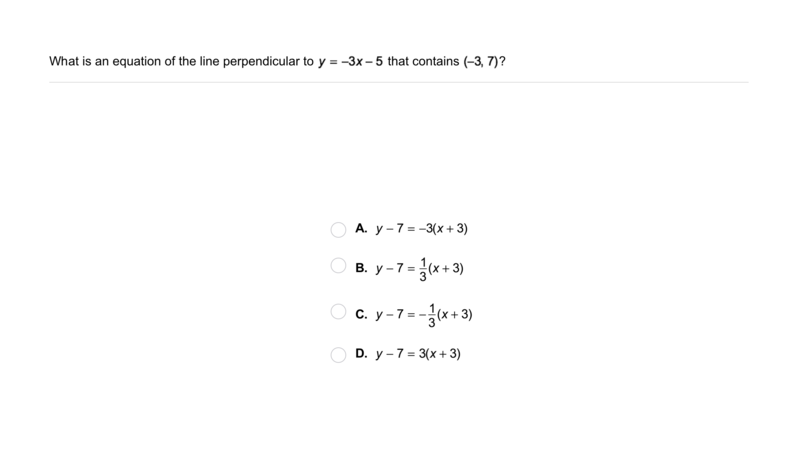 What is an equation of the line perpendicular to the line y = -4x + 1 that contains (2, -3)? 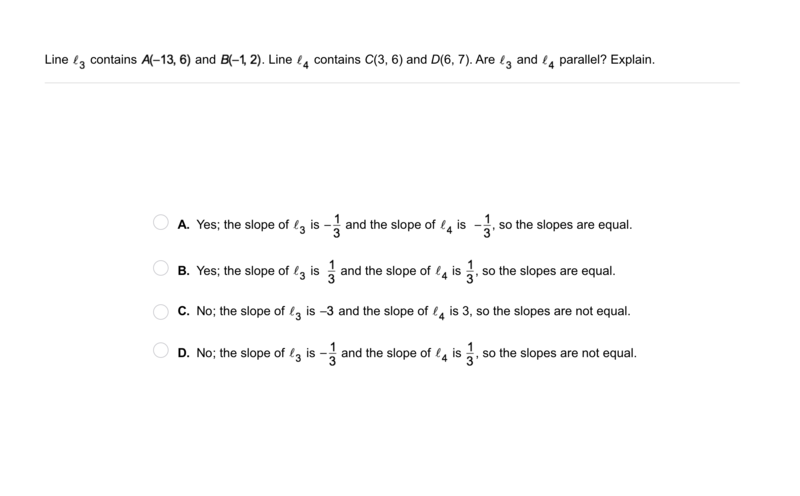 Error Analysis: Your classmate tries to find an equation for a line parallel to y = 3x - 5 that contains (-4, 2). What is your classmate's error? 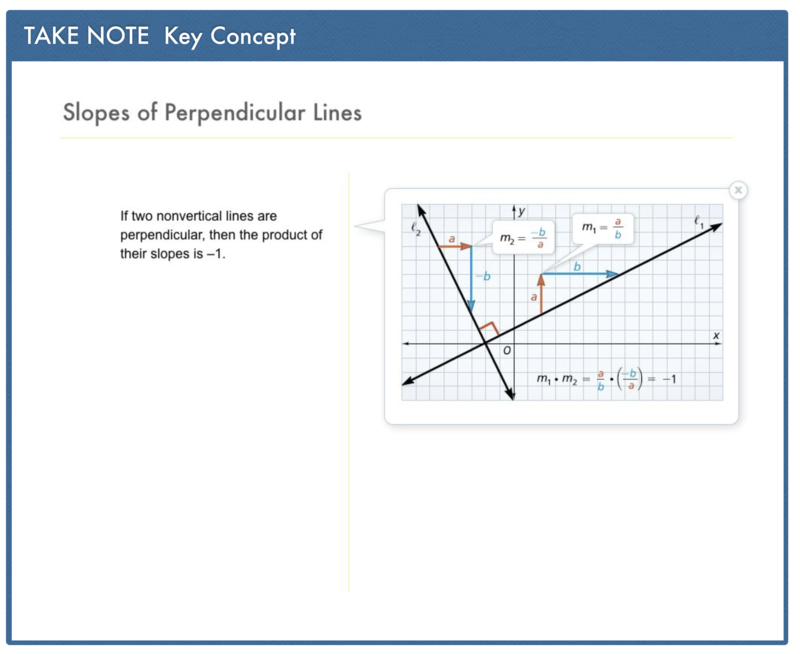 Compare and Contrast: What are the differences between the equations of parallel lines and the equations of perpendicular lines? 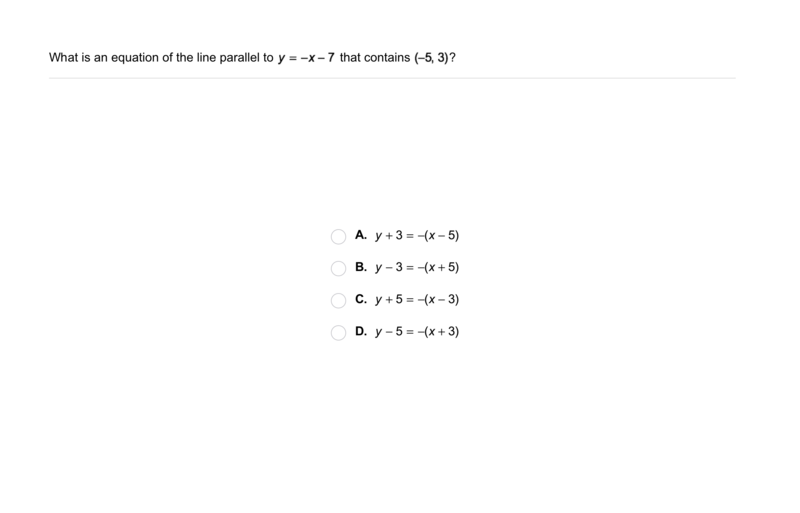 Review Lesson 3-7: Write an equation for the line containing the points. Are ∠1 and ∠2 congruent? Vocabulary Review: Classify the relationship between the lines. Vocabulary Review: Conisder the conditional statement below and categorize each of the items. Conditional: If a polygon is a triangle, then the sum of the measures of its angles is 180. 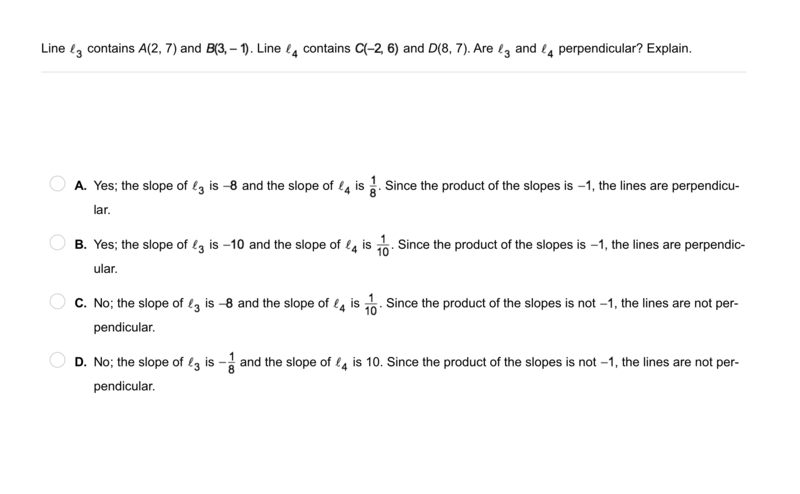 Slopes of Parallel Lines: Classify each statement.